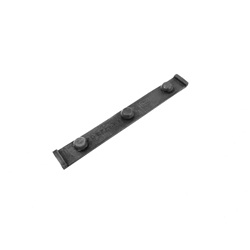 Radiator support bracket insulator, lower. Two (2) used per car. Replaces original GM part # 1351469. 4-1/4" long by 3/32" thick. Top quality USA MADE to original specifications.